Last year, performance marketing agency Brainlabs were ranked fourth fastest-growing company in Europe according to the Financial Times. Here their CEO and Founder, Daniel Gilbert, reveals how they're innovating and driving success in Search advertising. Hello, it’s me, Search advertising... why is nobody talking about me? OK, that’s enough of the first person narrative. Seriously though, last year pay per click (PPC) accounted for roughly half of global digital ad spend; approximately $92 billion will be spent on PPC this year. Surely no-one can dispute the value of a platform like AdWords for generating business growth, for transparency, measurability and accessibility. But is PPC exciting? It’s certainly old, in relative terms. Compared to Instagram, video, the emerging platforms of VR and IoT, PPC seems outdated. Perhaps this is why nobody seems to want to talk about it anymore? Perhaps they think the potential of PPC has been exhausted? Well, they are wrong. Incredibly wrong. AdWords may be a mature product but they are still innovating at a frighteningly fast pace. It’s a two-way innovation machine, continually being updated by both Google and its users. It’s only ‘old’ when we stop renewing it. To do PPC right requires one thing in its highest form: adaptability. Adapting to the thousands of changes that Google make to its platform every year, to the unique needs of any campaign, and adapting, via automation, how you use AdWords itself. So let’s talk about adaptation. In 2017 alone, Google introduced 32 updates and new features to AdWords. And these are just the changes that are significant enough to warrant news; underneath the surface, there are thousands of tweaks being made, based on the rich supply of feedback the platform receives. Not to mention the unpublishable modifications Google make to their core algorithms. Take ad units for example. Expanded Text Ads (ETA) were a positive improvement undoubtedly, but the transition from standard ads cost many PPC advertisers a lot of time. To adapt to this change, Brainlabs built an ETA converter which automatically restructures ad copy from an STA into the new format. For the majority of cases, this script can perform the conversion with only a few seconds of input from the account manager, saving hundreds of hours in the long run. "Whatever changes occur to AdWords, the best PPC advertisers need to be ready to adapt. 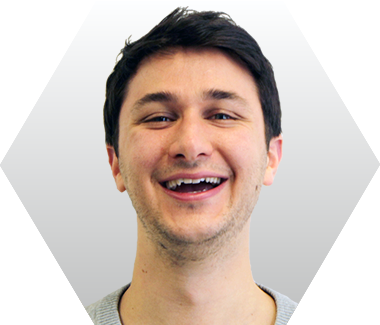 The landscape is constantly changing, which is partly what makes PPC so fun." Sometimes adapting to Google means finding ways of enhancing the features they introduce. Google Shopping, for example, was a very valuable addition to PPC ecommerce advertising. However, the algorithm functioned much like broad match, linking together a feed of products with broadly relevant queries. Our innovation was to enable advertisers to choose the exact searches their Shopping campaigns appear on, giving them much greater control over the relevance of their ads. Whatever changes occur to AdWords, the best PPC advertisers need to be ready to adapt. The landscape is constantly changing, which is partly what makes PPC so fun. As a PPC agency and technology provider, we are often presented with situations where a client’s needs require more than the default capabilities of AdWords. A good example is the work we did with Deliveroo, who needed a bidding model that could be applied to over three million keywords, with accounts across four countries, two continents and four different languages. To add further complexity, we would need to segment keywords according to campaigns (in the 100,000s) and factor in location, time of day, demographics and device. In order to get around this, we constructed the tool on a framework of computer clusters. In this way we got around the API limits and were able to increase the possible number of executions by up to 14 times, giving us a total throughput of 1,400 executions per second. The results were incredible. Within a year, Deliveroo were able to increase their AdWords budget by more than 100x – a remarkable period of growth, enabled by an automated bidding strategy. What’s great about AdWords is that its API is so accessible that it encourages this sort of innovation. Over the past five years, we’ve developed hundreds of ways of automating bidding, building, managing, monitoring, auditing, reporting and testing. And the majority of these are based on suggestions from the account managers themselves, who identify aspects of their role which can be done better through tech innovation. So far we’ve managed to automate about 75% of the routine cognitive tasks inherent to PPC account management; one day this will be 100%. When this day comes, account managers will be able to focus exclusively on the higher order thinking that goes into any PPC campaign: strategy, software innovation, drawing insights about the brand and customer to be used in other marketing channels. It’s baffling to me that PPC isn’t the top of the agenda in any conversation about digital advertising. There’s still so much to be done. There are few products that better epitomise the potential of the digital era than AdWords, which has benefitted from a continual, rich source of data and feedback to help it grow. Users of AdWords are in a similarly strong position: we can constantly update and improve the way we do PPC, using testing and learning, data-driven decision making, and working within a culture of innovation. If we can learn to be as adaptable as Google, there is no limit to what we might achieve through PPC.